When 11-year-old Thyme Owens' little brother, Val, is accepted into a new cancer drug trial, it's just the second chance that he needs. But it also means the Owens family has to move to New York, thousands of miles away from Thyme's best friend and everything she knows and loves. 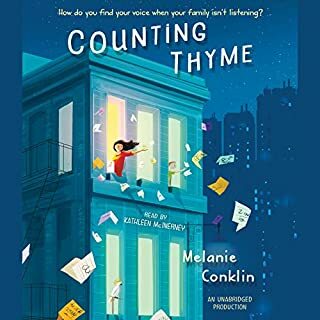 The island of Manhattan doesn't exactly inspire new beginnings, but Thyme tries to embrace the change for what it is: temporary. 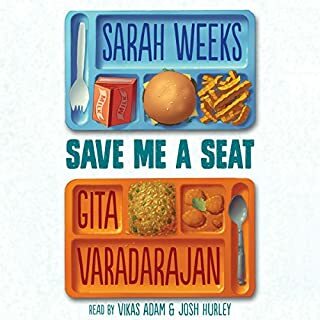 Two boys - one white, one Indian American - gain strength from each other from afar as they struggle to navigate middle school, family, and friendships. When Reena; her little brother, Luke; and their parents first move to Maine, Reena doesn't know what to expect. She's ready for beaches, blueberries, and all the lobster she can eat. 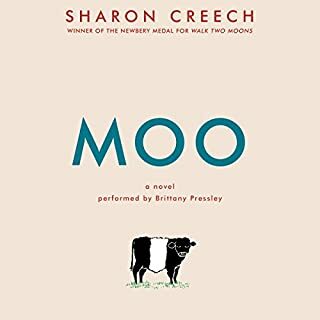 Instead her parents "volunteer" Reena and Luke to work for an eccentric neighbor named Mrs. Falala, who has a pig named Paulie, a cat named China, a snake named Edna - and that stubborn cow, Zora. Growing up in the shadows cast by two world wars, Annabelle has lived a mostly quiet, steady life in her small Pennsylvania town. Until the day new student Betty Glengarry walks into her class. Betty quickly reveals herself to be cruel and manipulative, and while her bullying seems isolated at first, things quickly escalate, and reclusive World War I veteran Toby becomes a target of her attacks. While others have always seen Toby's strangeness, Annabelle knows only kindness. A friend recommended this book to me and I was not disappointed. Jeremiah is the world's biggest baseball fan. He really loves baseball, and he knows just about everything there is to know about his favorite sport. So when he's told he can't play baseball following an operation on his heart, Jeremiah decides he'll do the next best thing and become a coach. Hillcrest, where Jeremiah and his father, Walt, have just moved, is a town known for its championship baseball team. But Jeremiah finds the town caught up in a scandal and about ready to give up on baseball. Award-winning author Nora Raleigh Baskin weaves together their stories into an unforgettable novel about that seemingly perfect September day - the day our world changed forever. Eleven-year-old Perry was born and raised by his mom at the Blue River Co-ed Correctional Facility in tiny Surprise, Nebraska. His mom is a resident on Cell Block C, and so far Warden Daugherty has made it possible for them to be together. That is, until a new district attorney discovers the truth - and Perry is removed from the facility and forced into a foster home. 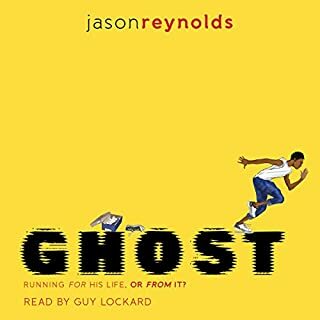 The audio edition of the best-selling middle grade novel about a spunky girl born without arms and a boy with Tourette syndrome navigating the challenges of middle school, disability, and friendship - all while solving a mystery in a western theme park. Aven Green loves to tell people that she lost her arms in an alligator wrestling match, or a wildfire in Tanzania, but the truth is that she was born without them. It's the height of World War II. Michael O'Shaunessey, son of the Irish ambassador to Nazi Germany, lives with his family in Berlin. But Michael, like his parents, is a spy. He joins the Hitler Youth, taking part in their horrific games and book burning, despising everything they stand for but using his insider knowledge to bring important information back to his parents and the British Secret Service. When Michael is tasked to find out more about Projekt 1065, a secret Nazi mission, things get even more complicated. It was a bitterly cold day when Arthur T. Owens grabbed a brick and hurled it at the trash picker. Arthur had his reasons, and the brick hit the Junk Man in the arm, not the head. But none of that matters to the judge - he is ready to send Arthur to juvie for the foreseeable future. Amazingly, it's the Junk Man himself who offers an alternative: 120 hours of community service...working for him. Great book from begining to end. Genie's summer is full of surprises. The first is that he and his big brother, Ernie, are leaving Brooklyn for the very first time to spend the summer with their grandparents all the way in Virginia - in the COUNTRY! The second surprise comes when Genie figures out that their grandfather is blind. Thunderstruck, and being a curious kid, Genie peppers Grandpop with questions about how he covers it so well (besides wearing way cool Ray-Bans).
. With the rise of the Berlin Wall, 12-year-old Gerta finds her family divided overnight. She, her mother, and her brother, Fritz, live on the eastern side, controlled by the Soviets. Her father and middle brother, who had gone west in search of work, cannot return home. Gerta knows it is dangerous to watch the wall, to think forbidden thoughts of freedom, yet she can't help herself. She sees the East German soldiers with their guns trained on their own citizens; she, her family, her neighbors, and her friends are prisoners in their own city. Abandoned in the jungle of the Nepalese Borderlands, two-year-old Nandu is found living under the protective watch of a pack of wild dogs. From his mysterious beginnings, fate delivers him to the king's elephant stable, where he is raised by unlikely parents - the wise head of the stable, Subba-sahib, and Devi Kali, a fierce and affectionate female elephant. When the king's government threatens to close the stable, Nandu, now 12, searches for a way to save his family and community. A risky plan could be the answer. Wonderful story for middle readers! 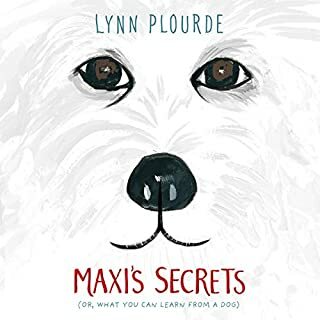 A boy's chance encounter with a scruffy dog leads to an unforgettable friendship in this deeply moving story about life, loss, and the meaning of family. Ben Coffin has never felt like he fits in. A former foster kid, he keeps his head down at school to avoid bullies and spends his afternoons reading sci-fi books at the library. 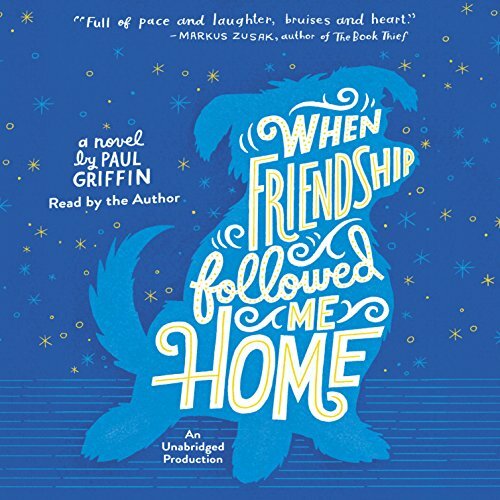 But that all changes when he finds a scruffy abandoned dog named Flip and befriends the librarian's daughter, Halley. For the first time, Ben starts to feel like he belongs in his own life. Then everything changes, and suddenly Ben is more alone than ever. But with a little help from Halley's magician father, Ben discovers his place in the world and learns to see his own magic through others' eyes. 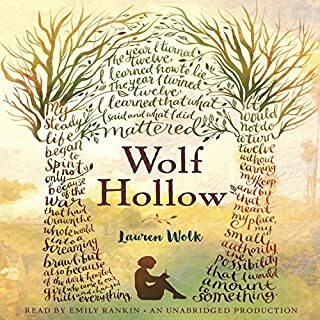 Equal parts heartbreaking and heartwarming, this audiobook is a must-listen for dog lovers and fans of emotionally resonant middle grade novels like One for the Murphys and Okay for Now. This book started slow. I wondered if it was too dark for my nine year old. But it really took off midway and I'm glad I stuck it out! What a poignant story! I recommend listening first before sharing with the young ones though. It delves head first into some serious life and death issues. I loved everything about this! The speaker the speeds and mostly the book! Overall I give it 5 stars! !